Synopsis (From Goodreads): From the moment Fred meets Aja, he knows she’s different. She’s pretty, soft-spoken, shy—yet seems to radiate an unusual peace. Fred quickly finds himself falling in love with her. 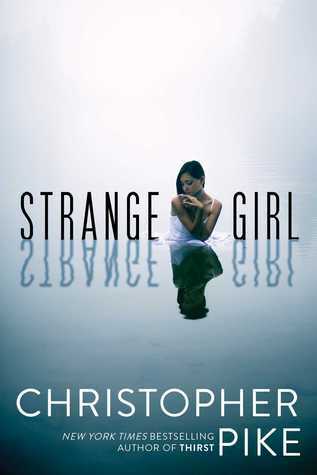 My Thoughts: I grew up on Christopher Pike books. Some of them were amazing, some of them were less amazing but still good, and even the “bad” ones were worth reading again. I love that this man has in recent years begun producing more stories for old fans and new to fall in love with all over again. First, the con. As is typical of a Pike book, the beginning is slightly less refined than I’d like it to be. I wouldn’t call it choppy and honestly I’m not sure I can actually find words that adequately describe exactly what I mean, but the first bits of his books are never very indicative of what he’s capable of. I forgive it every time, however, because at some point (30 pages in sometimes, 20, 10…) you turn the page and bam, he’s hit his stride and the story blooms and your eyes are glued to the page. Aja is to this book what Sita is to the The Last Vampire. And I don’t just mean the obvious in that she’s the book’s protagonist, I mean she’s THE story. She’s got personality. You can imagine her as a real person in a real world doing real things. She has thoughts and feelings that we’re able to relate to on a certain level and quite simply, despite the unbelievability of the plot itself, she is believable and therefore everything else seems plausible. Suspension of disbelief comes easily and it makes reading this book a pure joy. The plot itself is something that is not my typical cup of tea. It’s spiritually focused and touches on a little too much “religion” (although it isn’t preachy at all!) for me to be fully comfortable… but I was fully comfortable. I loved it. I’m going to buy another copy or two to give to friends as gifts. Go buy it. Run run, shoo, go! Sounds interesting. I love me some Christopher Pike!